MIDWEST? UPRIGHT? 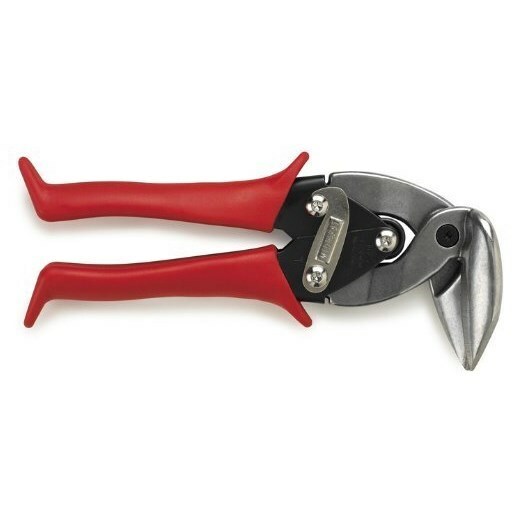 Left Aviation Snips feature ergonomic handle action that reduces wrist range motion and fatigue. Can be used blades up or blades down with push or pull motion. Operates in tight spaces. Easiest used in right hand. The tool features GLIDETECH? FORGED BLADES. The MIDWEST? GLIDETECH? FORGED BLADE manufacturing process produces unequalled strength, longest lasting edge life, and the most precise cutting action. Blades are hot dropforged of molybdenum alloy steel for exceptional strength and durability and Austemper? heattreated to best accept and hold their precision ground cutting edge. GlideTech? Forged Blades cut complete from "pin of the blades through their points". GlideTech? Forged Blades pivot on a Grade8 bolt that is threaded and affixed into the bottom blade keeping blades in precision adjustment and if ever necessary allowing them to be readjusted extending peak performance. Equipped with KUSH'NPOWER? compound leverage handle action with patented (US D718,602, D719,808) handle grip design multiplies handle force to cutting blades requiring the least amount of hand force while providing a soft, sturdy and comfortable grip. KUSH'NPOWER? grips and heavyduty doubleoverwind spring are unconditionally guaranteed. Made in the USA!